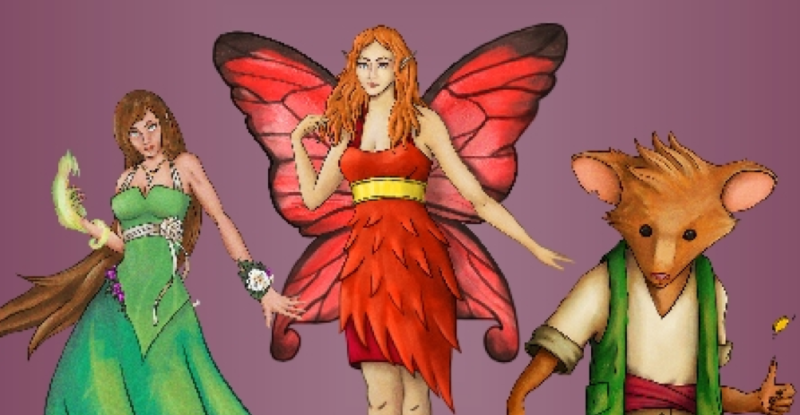 When I first had the “my kids should be playing RPGs” epiphany, I immediately ensconced myself into all manner of RPG rule sets, trying to absorb as much information as I could, both for the kids and for myself. Really, I went overboard. I couldn’t stop reading rules and seeing what all was out there — making up for lost time perhaps? So, naturally I had to make a DriveThruRPG account, and was able to download all manner of stuff for immediate consumption in PDF form — many of which were free or only a few bucks. It was impossible to resist. 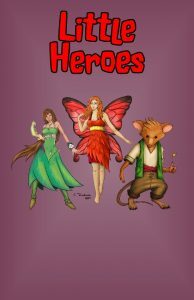 I don’t often look through promotional emails, but today I chanced opening the weekly DriveThruRPG mailer, now that I’m fully entrenched, and noticed the Free Game of the Week is a family storytelling RPG called Little Heroes, which appears to be quite new — released in April of 2017 by Aaron T. Huss of Mystical Throne Entertainment. The title, at least, is a stone’s throw from both Little Wizards and Hero Kids, also family games aimed at children around the same group (5-10). 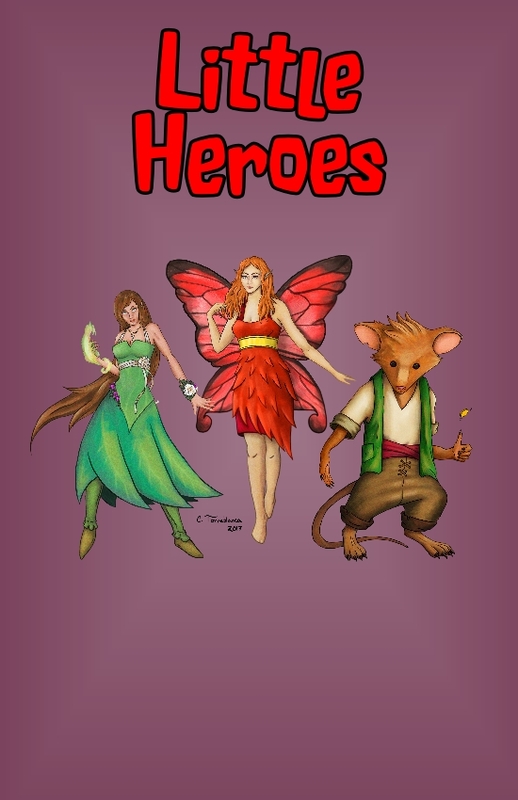 Little Heroes is a storytelling game designed for families and young children. Its mechanics are designed to be simple while encouraging creativity among the players. It’s a lot like telling a bed-time story, but with a lot more interaction. The freebie is actually an adventure module called “Trapped in Human Town“, so I was slightly disappointed at first that it wasn’t playable without the core rules, but upon further inspection, there is a free/pay-what-you-want (PWYW) “quick start” version of the rules called “The Lost Faery”, available from both DriveThruRPG (PWYW) or the Mystical Throne website (Free, but you first have to spill the beans about your personal info during checkout, which you may have already accomplished at DTRPG). It includes pregenerated characters (termed Personalities) and the titular introductory scenario to get you into the game quickly. The core rules are just a fiver at DTRPG or through the publisher, and it’s all licensed under the Creative Commons Attribution 4.0 license, so you’re free to modify and build upon it with proper attribution. Did I mention it’s also in the running for the 2017 Ennies? I’ll definitely be checking out the quick start rules and the free adventure module over the next few days, as this was one that hadn’t been on my radar before. Stay tuned for my impressions, and perhaps a play test with the kiddos if I think the shoe will fit. If you’ve already given it a try, I’d love to hear about it in the comments.